Ava DuVernay attends the 2018 Vanity Fair Oscar Party hosted by Radhika Jones on March 4, 2018 in Beverly Hills, California. 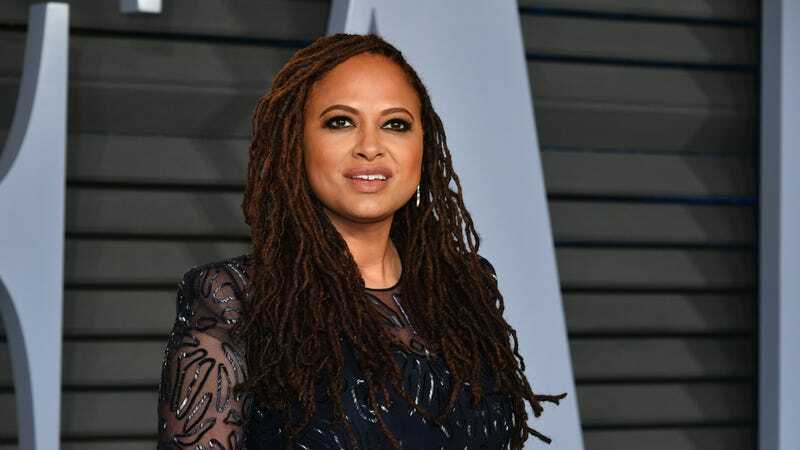 Ava DuVernay is owning her place at OWN! The acclaimed director has an established relationship with Oprah Winfrey’s network, with Queen Sugar returning for its 4th season in June. Now, DuVernay’s new creation, Cherish the Day, is coming to the network! The series is titled “Cherish the Day.” Each season, the anthology series chronicles the romance of one couple, with each episode spanning a single day. The season-long narrative will unfold to reveal significant moments in a relationship that compel people to hold true to the ones they love, from the extraordinary to the everyday. Fans of Black Mirror know well-made anthology series are where it’s at! Given the title, I wonder if there will be some lovely Sade crooning involved. After all, Ava already has a working relationship with the talented artist after impressively landing her for the A Wrinkle In Time soundtrack. Cherish the Day is part of DuVernay’s overall deal with Warner Horizon Scripted Television. DuVernay will executive produce the project with Winfrey and Paul Garnes. Tanya Hamilton will join as showrunner and executive producer. Hamilton has already teamed with DuVernay, having directed for Queen Sugar. Cherish the Day will be produced under DuVernay’s Forward Movement and Winfrey’s Harpo Films, in association with Warner Horizon. Cherish the Day is scheduled to premiere in Winter 2020.